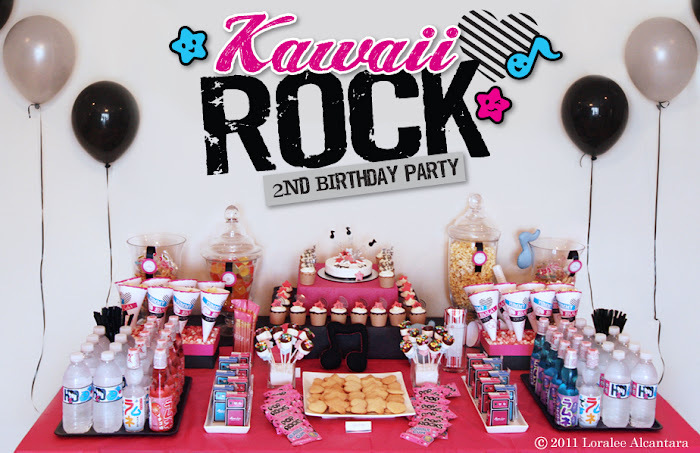 Introducing "Kawaii Rock" -- a birthday party theme for the super cool and adorable music lover that fuses a rockstar edge with Japanese "kawaii" (cute) pop culture. 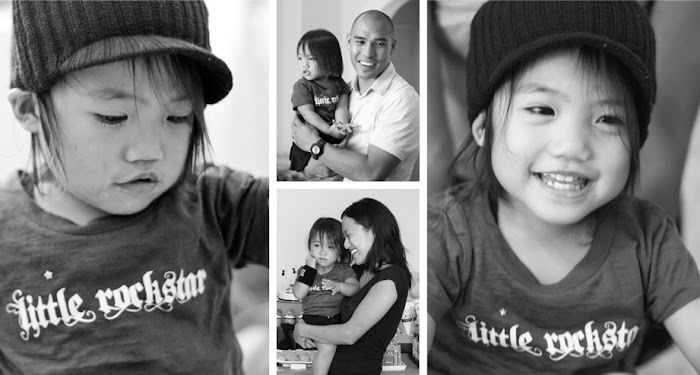 The collection was perfectly fitting as my daughter's 2nd birthday party, but can certainly be adapted for any age. 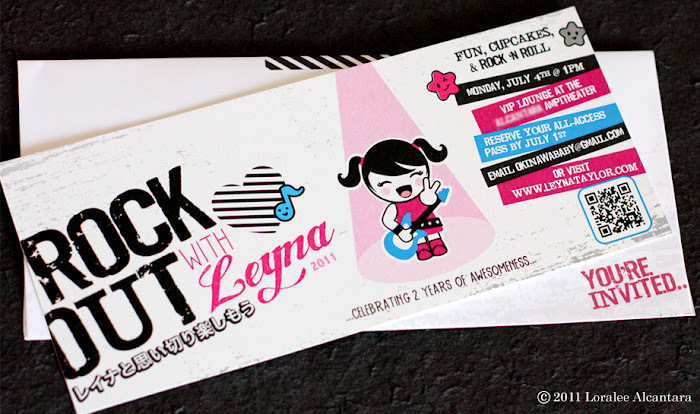 Have a custom character resembling the birthday girl take center stage on the invitation, and incorporate a QR code that conveniently links devices to a website for party information and to RSVP online. 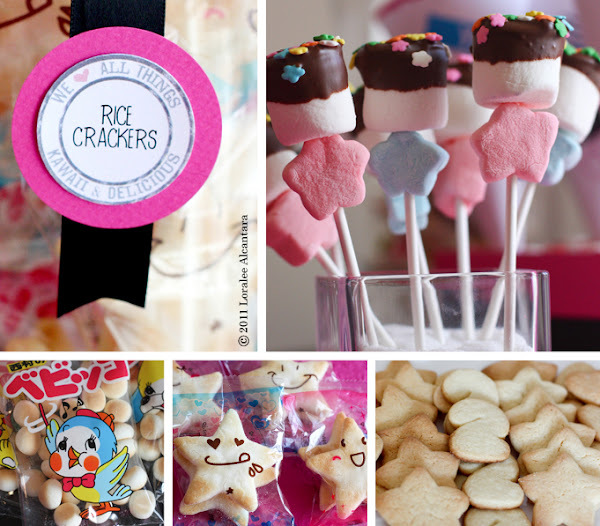 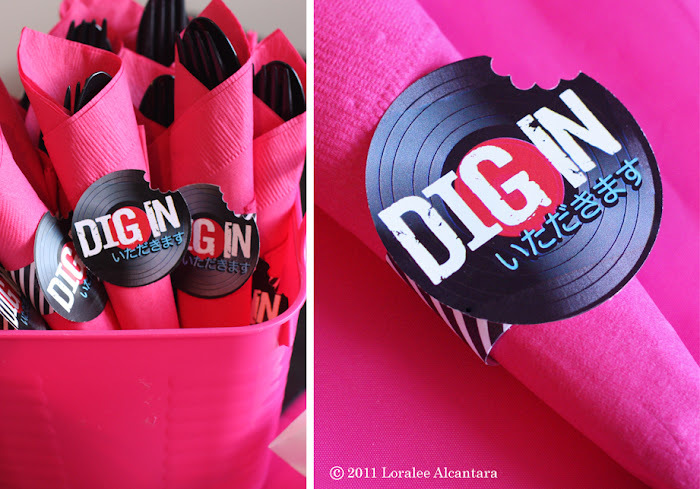 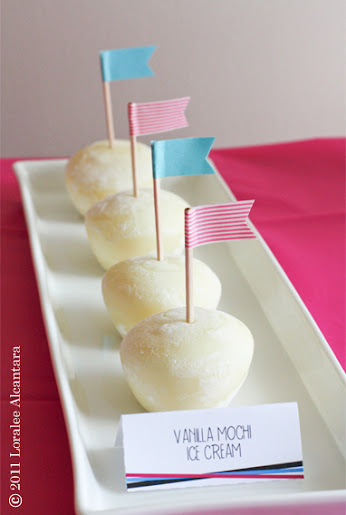 Serve up anything kawaii and delicious with a variety of coordinating labels, and guests are sure to enjoy a fun dessert table displaying treat cones filled with "oishi" (delicious) popcorn, ultra cool Japanese style soda and juice boxes packaged as mini guitar amplifiers. 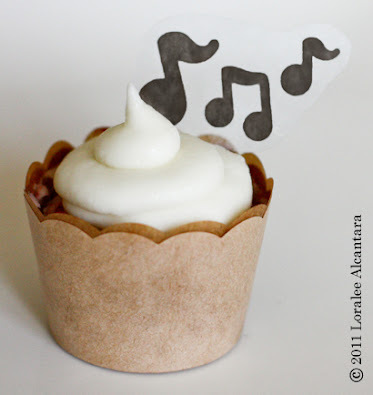 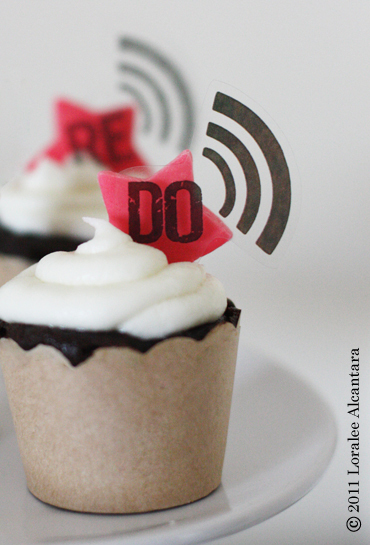 Send music notes soaring and "do-re-mi-fa-so-la-ti-do" singing from cupcakes with innovative transparent toppers. 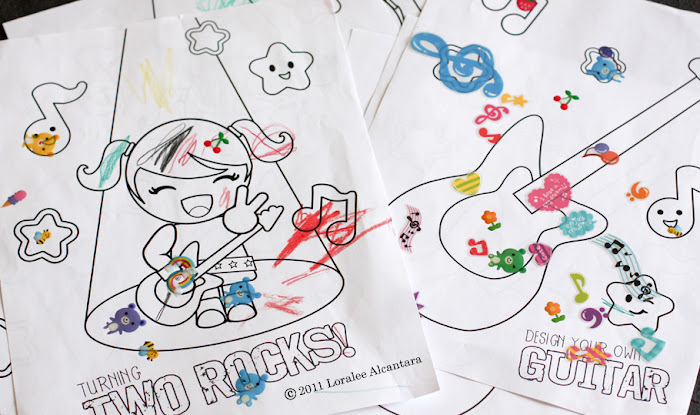 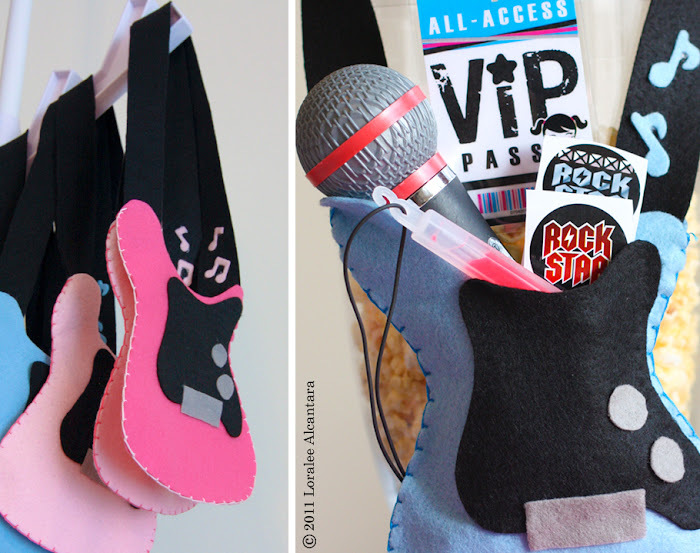 Welcome all the little rock stars with VIP passes, keep them occupied with themed coloring pages, and bid them farewell with handmade guitar favor bags stuffed with goodies. 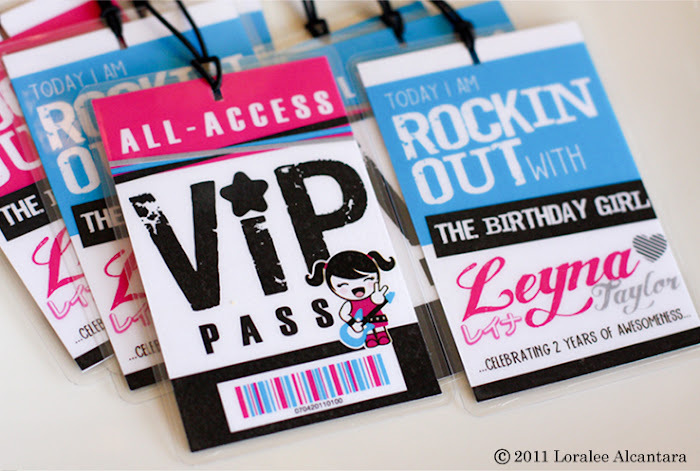 "Fanmail" photo postcards, ready for VIP loungers to write a special message to the birthday girl, make great additions to a memory book. 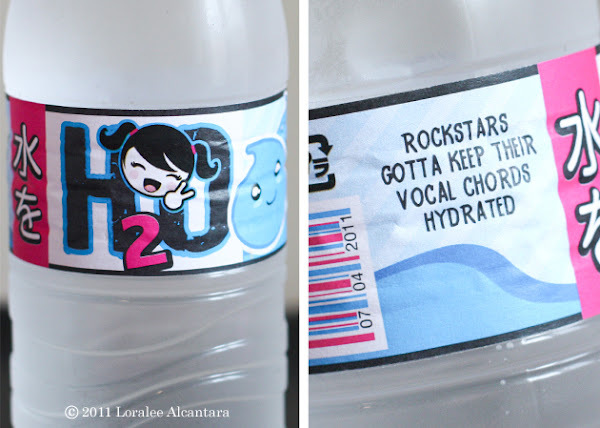 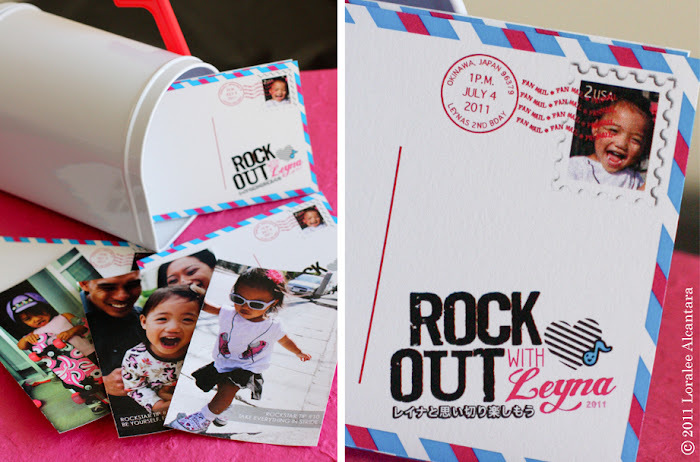 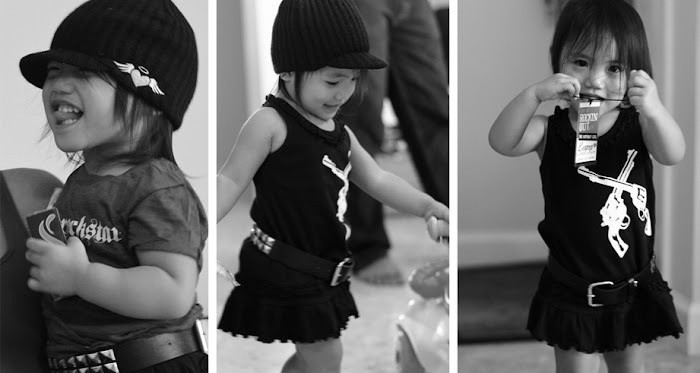 It's everything you need, and more, for your little one to party like a (Kawaii) Rockstar!